Obituary – Bunch, Myrtle Elaine (Barnes) « Perry High School Alumni Association, Inc.
﻿Myrtle Elaine Bunch, 81, Stillwater, formerly of Perry, died Thursday, Aug. 5, 1993, at her home. Funeral will be at 10 a.m. Monday in the chapel of Strode Funeral home. Burial will be at Grace Hill cemetery at Perry. Casket bearers will be Jerry Kerr, Kenny Kerr, Baines Kerr, Royce Bunch, Clarence Andrews and Willard Andrews. Honorary bearers will be Peyton Glass and Stewart Smith. Mrs. Bunch was born at Marshall, Nov. 27, 1911. Her parents were Mr. and Mrs. Benjamin Barnes. 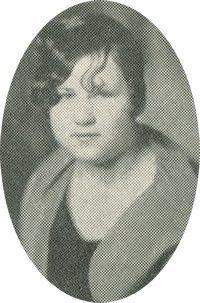 She graduated from Perry high school in 1929 and from Capitol Hill Business School in 1931. She and Clarence E. Bunch were married at Enid, Dec. 15, 1934. Mrs. 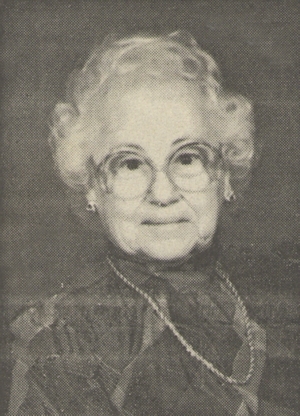 Bunch had been a resident of Stillwater since 1953. She was a member of Hillcrest Baptist church, chapter OU of P.E.O. and the Oklahoma and Payne County Historical Societies. Among survivors are two sons, Donald Bunch, Stillwater, and Benny Bunch, Enid; one daughter, Dollye Bunch Bloodworth, Stillwater; four grandchildren, two great-grandchildren and two sisters, Almyra Duval, Stillwater, and Emma Kerr, Geary.